I'm a kind of person who strives to reach the goal when I get committed to things. I am crazy about AR and VR. I also work for the welfare of the women community. Bhuvana is a virtual reality enthusiast, who has made various webvr based projects. 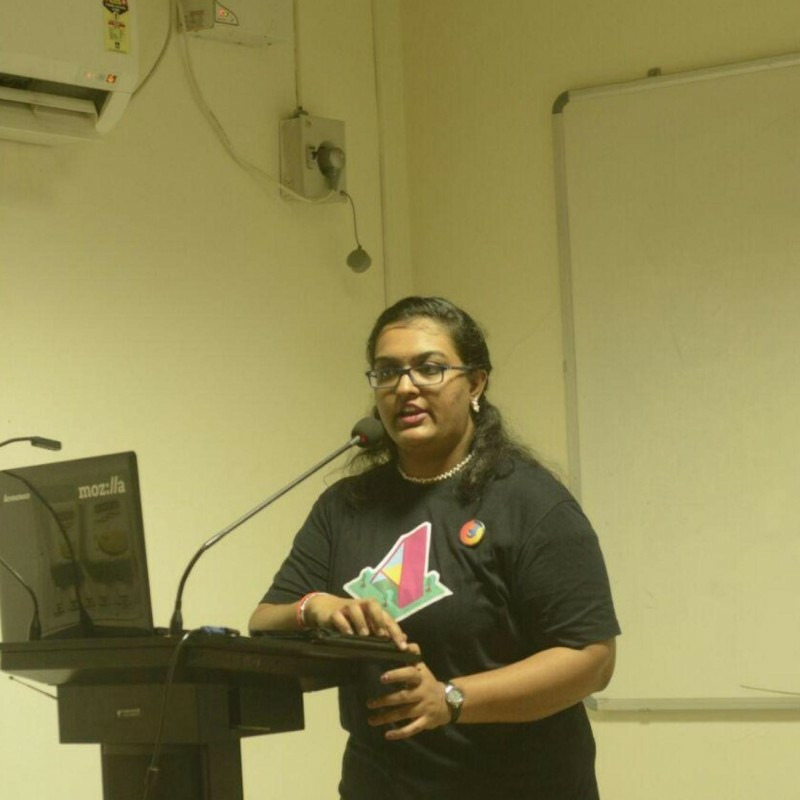 She has not only equipped herself with various technologies but has also helped other people in the community to get exposure on various trends in open source and Mozilla. Being the woman contributor of Mozilla TamilNadu she has inspired more women techies with her creative works. Dedicated, passionate and amazing Womoz from Tamilnadu. She is an excellent WebVR evangelist. She has done a good number of projects using Aframe. Met Bhuvana in the first MozCoffee event at Salem. She was very passionate and interested student who had great love with Virtual Reality. Quickly she was able to bring her friends and work on open source related projects. In MozillaTN meetup 2017 she was able to show amazing demo which she did with Aframe. These demo are currently used by other contributors when they wanted to share about Aframe. She is building amazing contributors and helping community to grow in many ways.